Forgetting the login password of a HP Windows 10 laptop is really a disaster, especially when you need to use that laptop urgently. However, when the Lord closes a door, somewhere he opens a window. 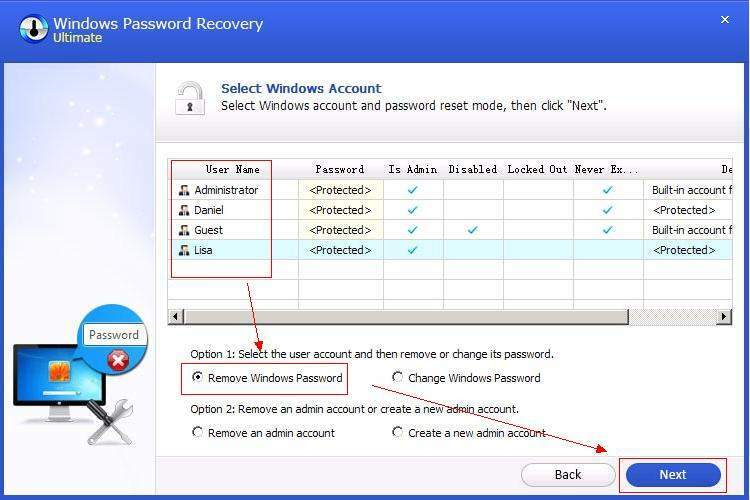 You can try to figure out the problems with the below methods about how to reset forgotten HP Windows 10 laptop password, including all the HP Standard laptops, such as HP Pavilion, HP Chromebook, HP EliteBook, HP Stream, OMEN laptop, HP ProBook, etc. 1. Login Windows 10 with available admin account. Click the Start button, and then right click “Computer”, choose “Manage”. After that, open “Computer Management”, then tap on “System Tools”, and then click “Local User and Groups”, finally, choose “Users”. After that, right click the user account you are willing to reset password, select “Set Password” (See the screenshot below). 2. 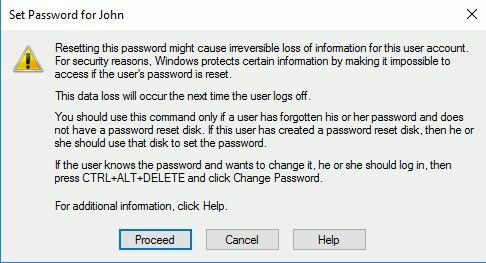 If there is a windows pop up and shows the risk of resetting the password, read it and choose “Proceed”. 3. You can see a new window that asks you to type the new password. Type it and confirm it, then click OK to finish it. Suppose that you use Microsoft account to login HP laptop, then to fix your forgotten Windows 10 HP laptop login problem is to visit Microsoft login password reset page. As long as you remember sign in email and sometimes mobile phone number and they’re accessible, then you are able to follow the steps to reset it. 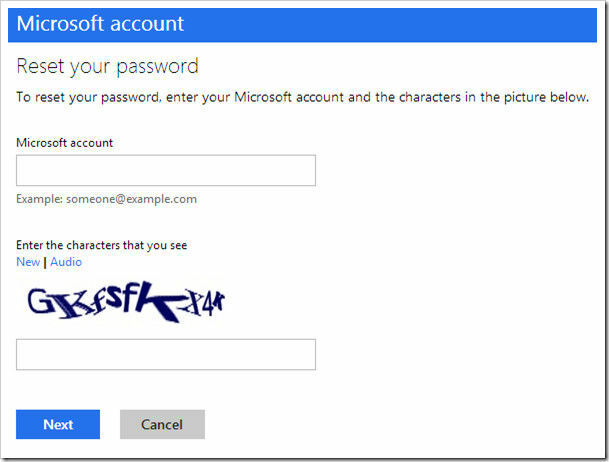 Click here to learn how to reset Microsoft Windows Live account password in details. 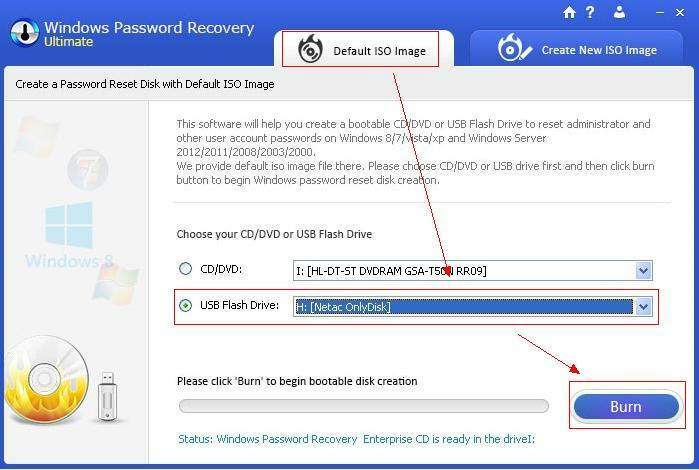 When you’re locked out of HP laptop, the last but not least method is to make use of SmartKey Windows Password Recovery to remove or reset Windows 10 login password. This is a safe and lightweight tool that woks for all versions of Windows systems. 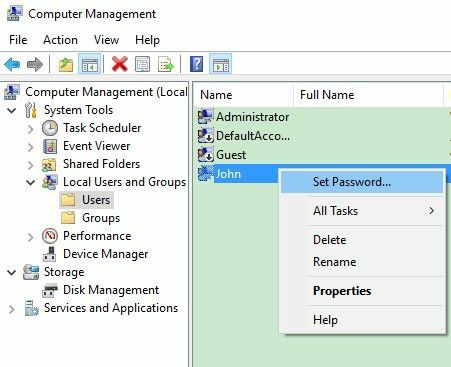 It’s capable of resetting Windows domain and local administrator, regular user and Microsoft account password quickly, and also supports creating/deleting account. The application comes in 3 versions: Standard, Professional and Ultimate (Compare Editions here>>). Now let’s widen our horizon greatly by watching the user guide step by step. Step 1. First of all, download, install and run SmartKey Windows Password Recovery (take Ultimate version as example) software from another accessible computer. Step 2. You are apt to see an easy-to-understand interface as shown below. Just insert a CD/DVD/USB (take USB for example) and then click Burn button to begin bootable disk creation. The process of creating HP laptop Windows 10 password reset disk will be terminated in one minute or so. Step 3. Take the USB to your locked computer and insert it. Reboot your locked laptop and quickly press F12 to enter BIOS setting. Disable Secure Boot and then use UEFI firmware to set legacy BIOS to boot from USB drive (Click here to learn how to boot from USB drive). At last, exit BIOS, the computer will restart. Step 4. Then you will see the program is initializing. Keep clicking Next until you see all the Windows accounts in your HP laptop. 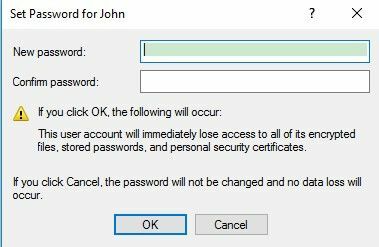 Choose the account that is lost password and then remove or reset its login password forever. In the end, reject the software and reboot the laptop again to sign in Windows 10. After reading here, you will understand there is no need to worry about forgetting Windows 10 password on HP laptop. Those are the simple and basic solutions shown to you. Now you have fully access to your HP Windows 10 laptop again without password or with the new password. Can't Login Microsoft Account after Windows 10 Update - How to Do? 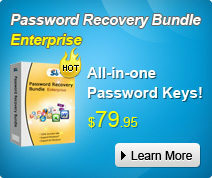 It helps you to Quickly Recover, Remove or Reset Windows Local and Domain Passwords! Copyright©2007-2019 SmartKey Password Recovery. All rights Reserved.